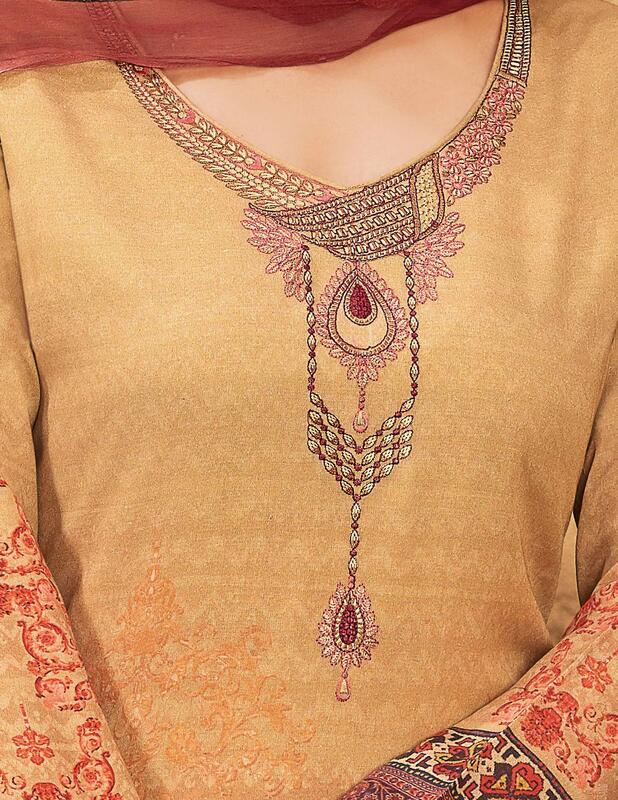 True beauty can come out from your dressing design with this pleasant beige colored partywear satin suit. 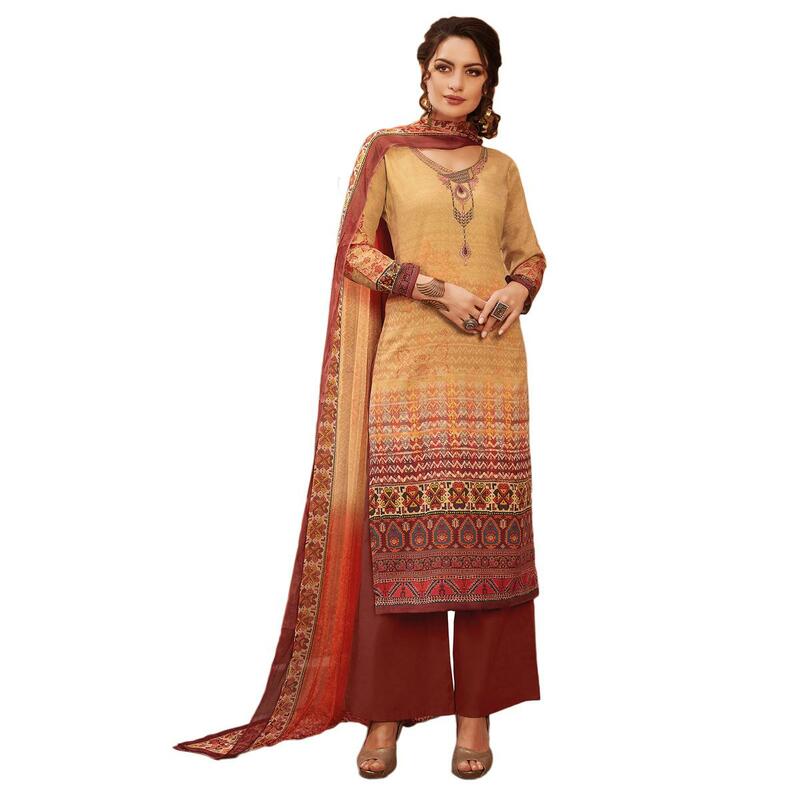 The semi-stitched suit has satin fabric top with thread embroidery and digital print as shown.The magnificent charm of the printed chiffon dupatta will make you fall in love with its combination and fashion quotient with the suit. The suit is perfect for ladies who want to be easy even wearing. The long sleeves suit comes along with un-stitched satin bottom which can be stitched into salwar, straight pant, palazzo or churidar. The outfit is specially designed to wear for parties, social get together and family occasions, where you want to be center of attraction. Team this suit with stylish accessories and high heel for a complete look and you are ready to shine at your event. This suit will fetch compliments for your rich sense of style.